Fred Korematsu liked listening to music on the radio, playing tennis, and hanging around with his friends--just like lots of other Americans. But everything changed when the United States went to war with Japan in 1941 and the government forced all people of Japanese ancestry to leave their homes on the West Coast and move to distant prison camps. This included Fred, whose parents had immigrated to the United States from Japan many years before. But Fred refused to go. He knew that what the government was doing was unfair. And when he got put in jail for resisting, he knew he couldn't give up. Inspired by the award-winning book for adults Wherever There's a Fight, the Fighting for Justice series introduces young readers to real-life heroes and heroines of social progress. 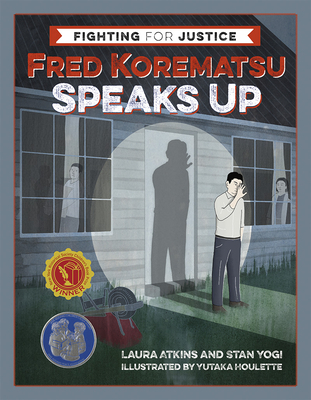 The story of Fred Korematsu's fight against discrimination explores the life of one courageous person who made the United States a fairer place for all Americans, and it encourages all of us to speak up for justice.